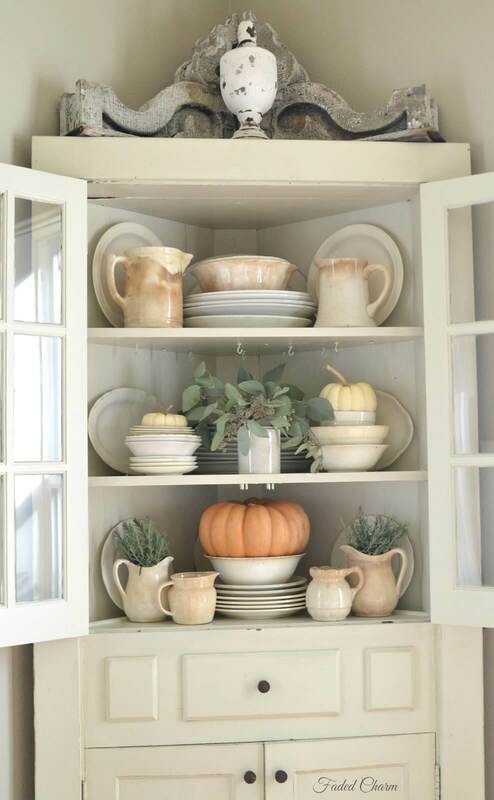 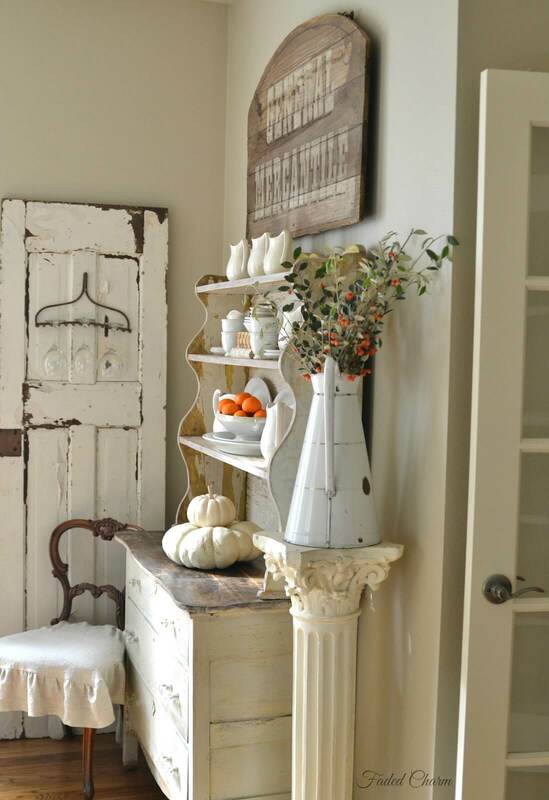 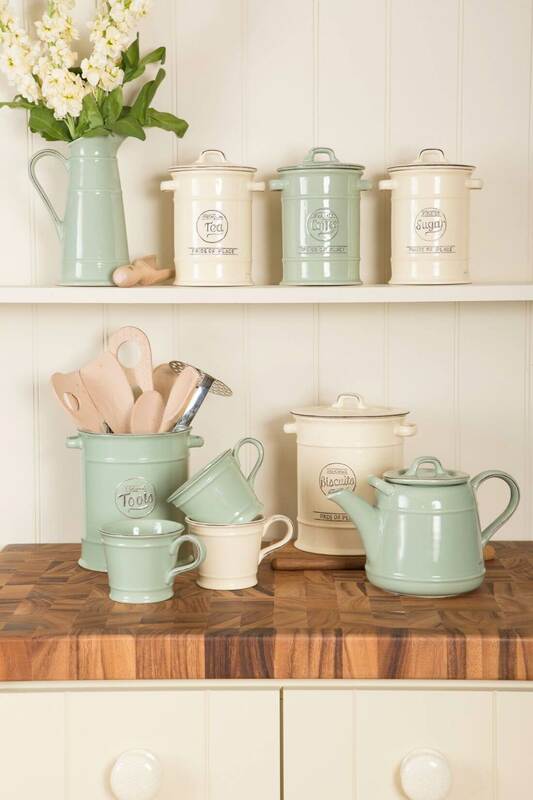 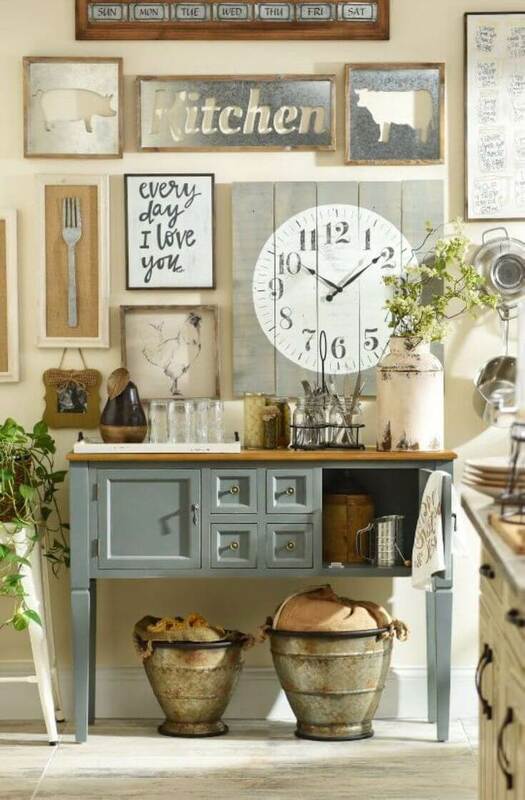 A little time and thought is all that’s needed to bring a breath of country fresh air into your kitchen. 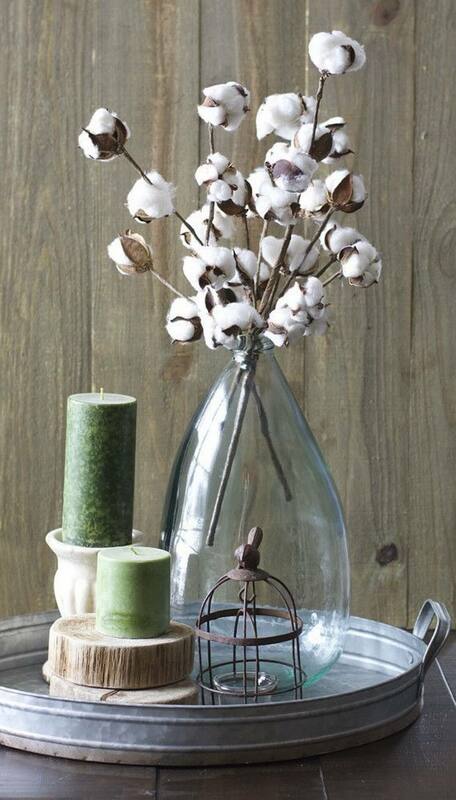 A white backdrop and accents unify many of these decor ideas. 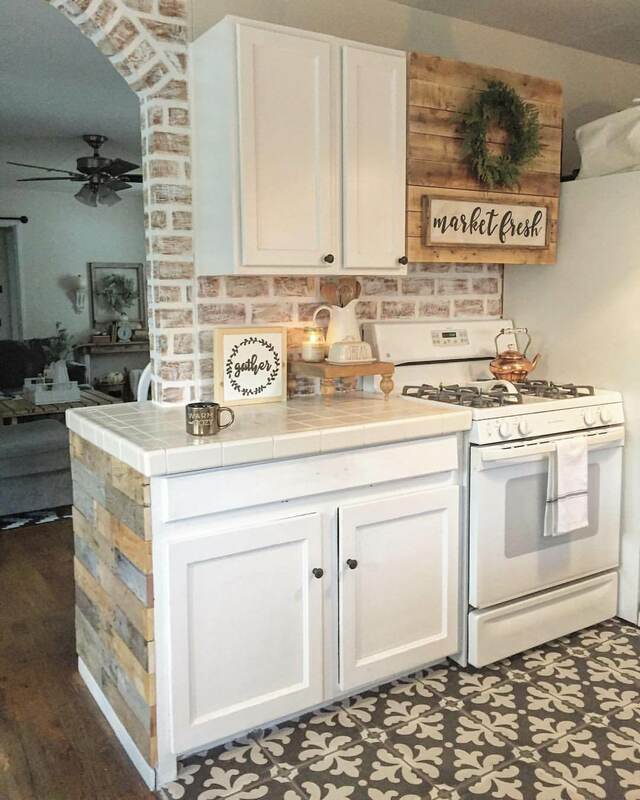 Pops of color throughout give the kitchens a unique flair. 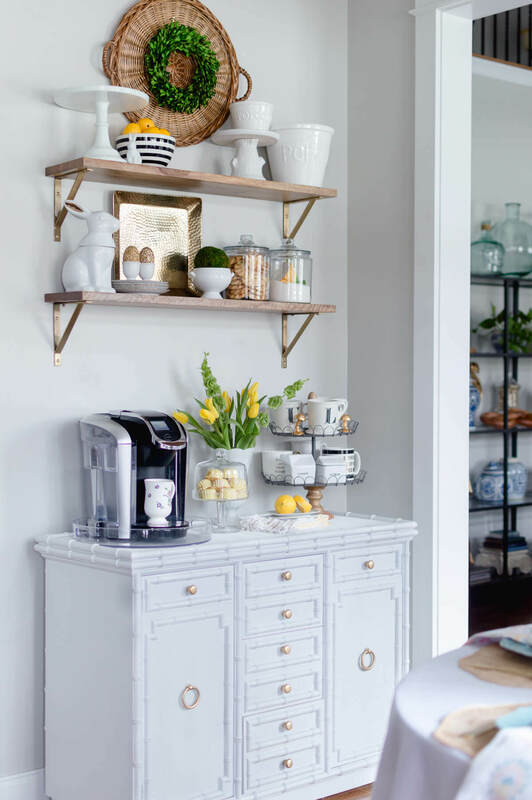 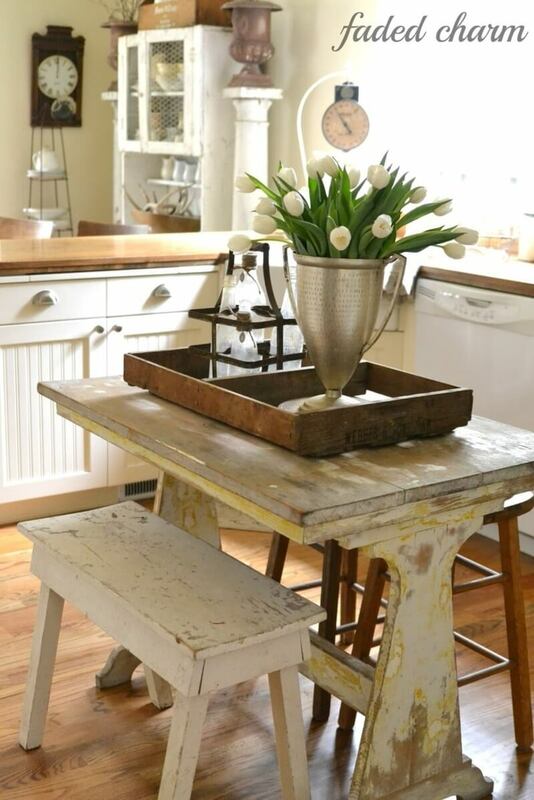 Many of these country cottage style kitchen decor ideas use oversized or distressed hardware. 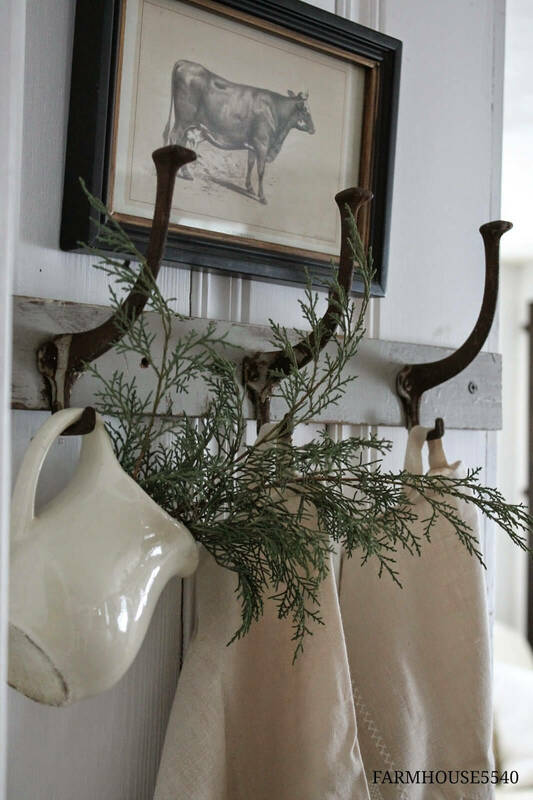 The large size makes it possible to hang bigger objects like pitchers. 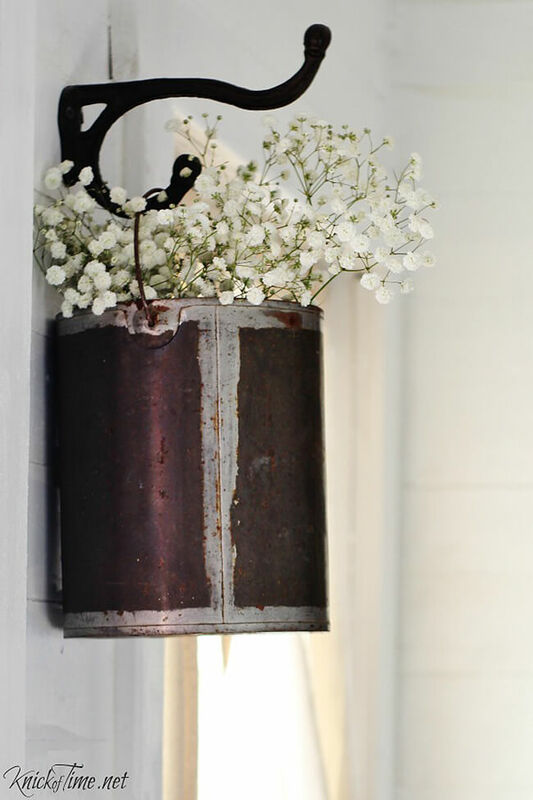 This gives an unexpected accent to your wall decor. 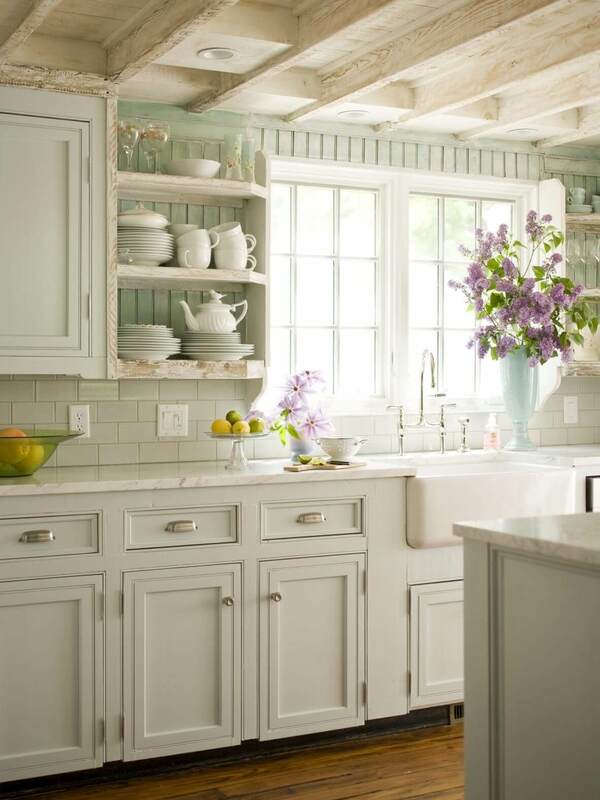 Floral and plant arrangements are used to bring color and texture to the kitchens. 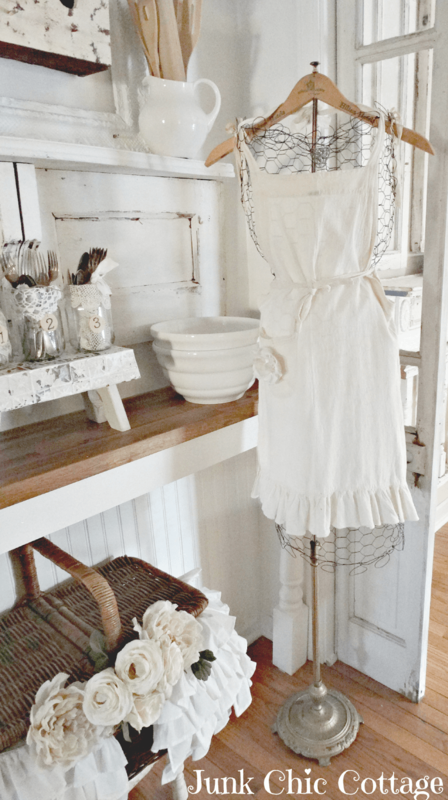 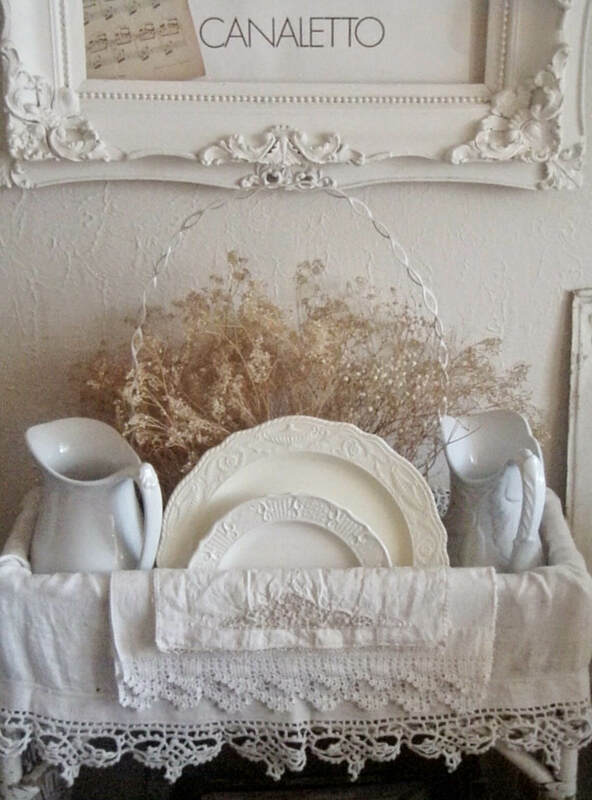 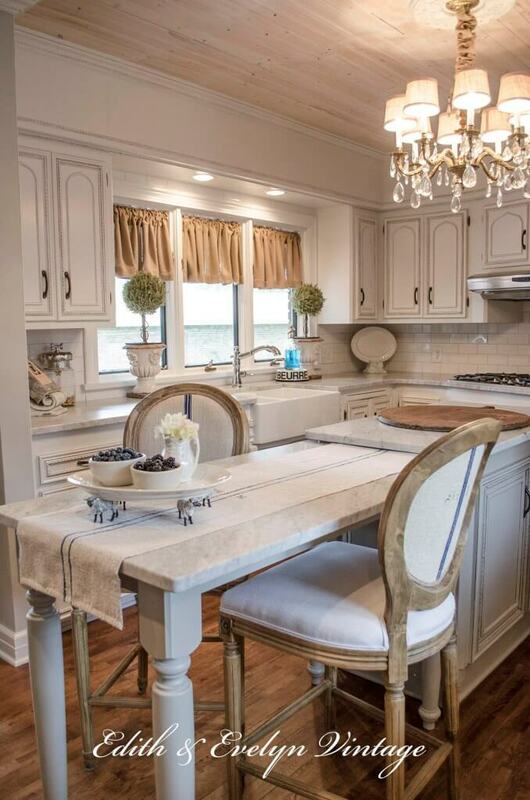 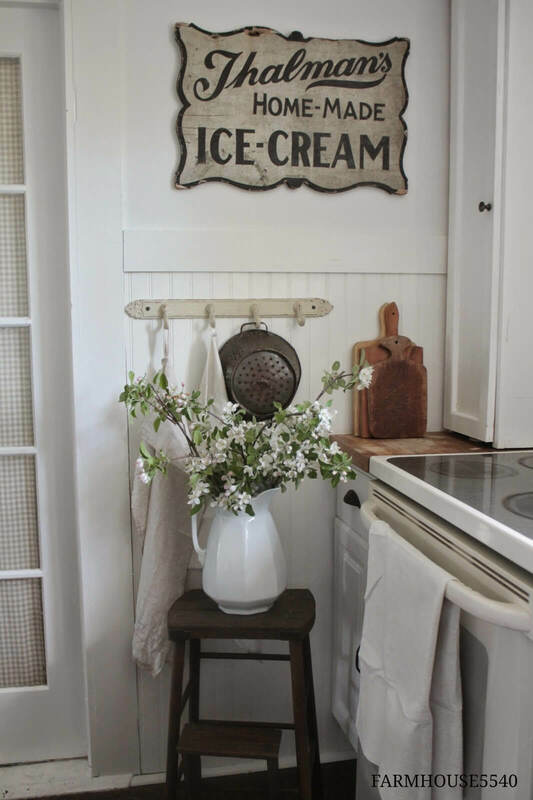 White flowers are a simple accent to the country cottage kitchen. 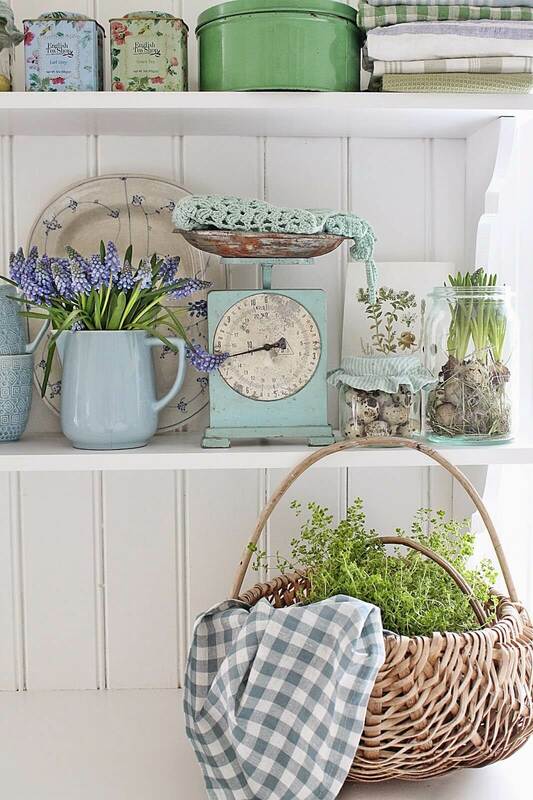 Some of the plant arrangements are practical, with indoor herb gardens overflowing from woven baskets. 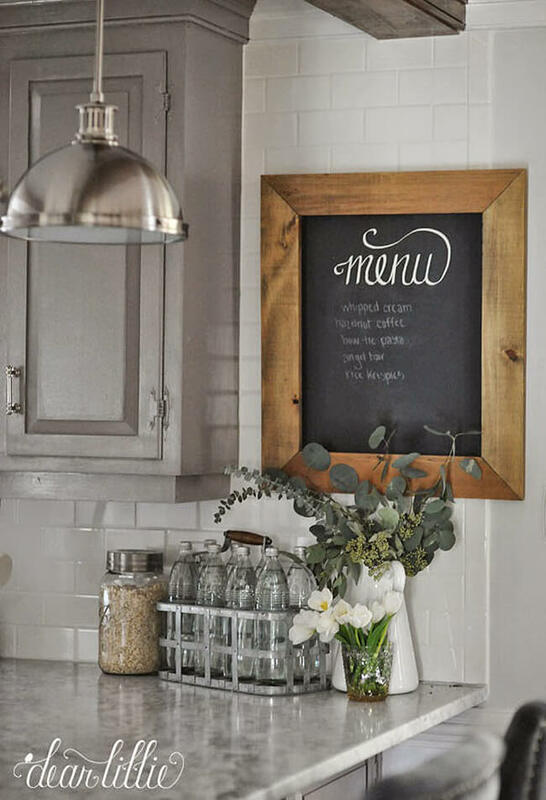 Chalkboards are a favorite accent in the country cottage kitchen. 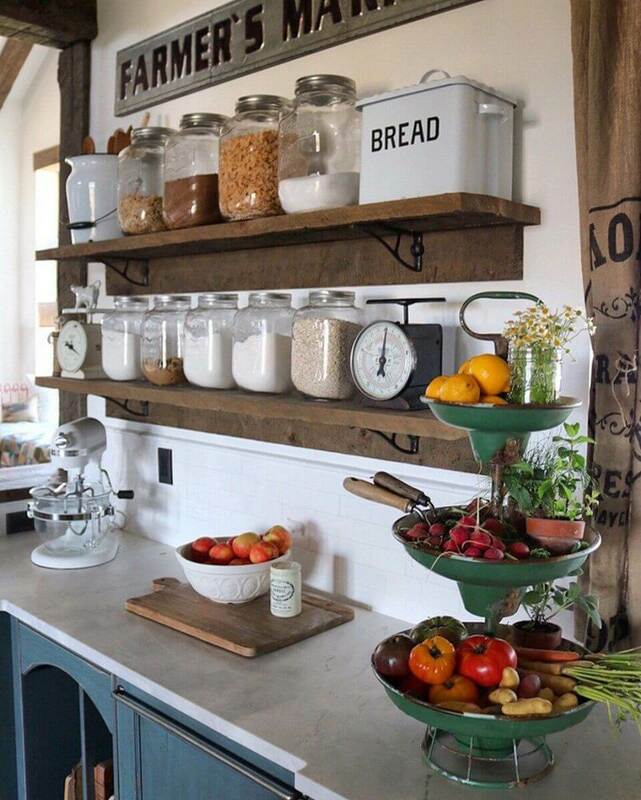 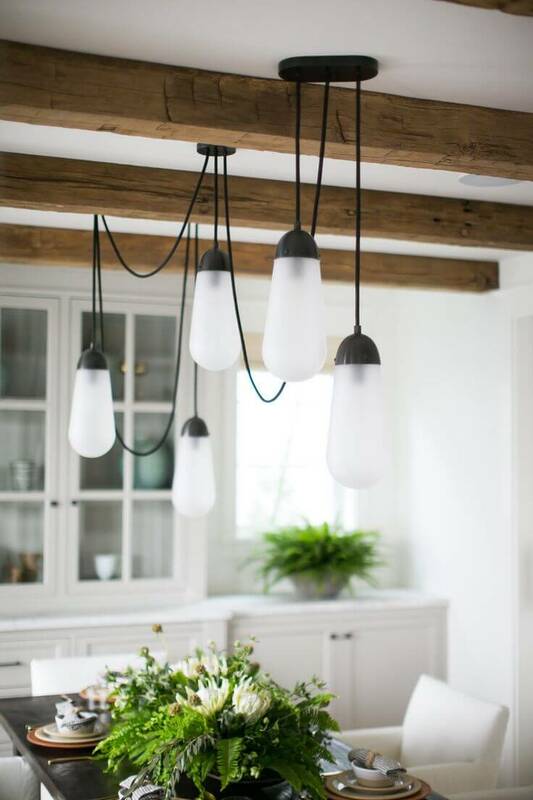 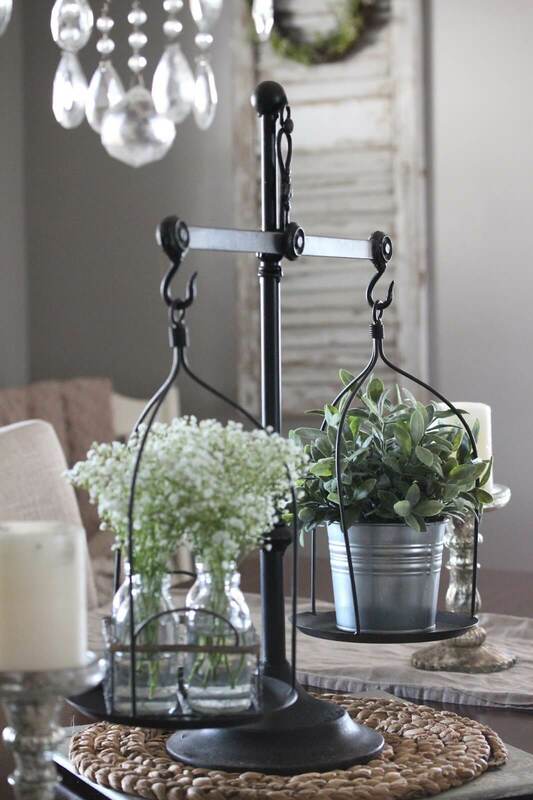 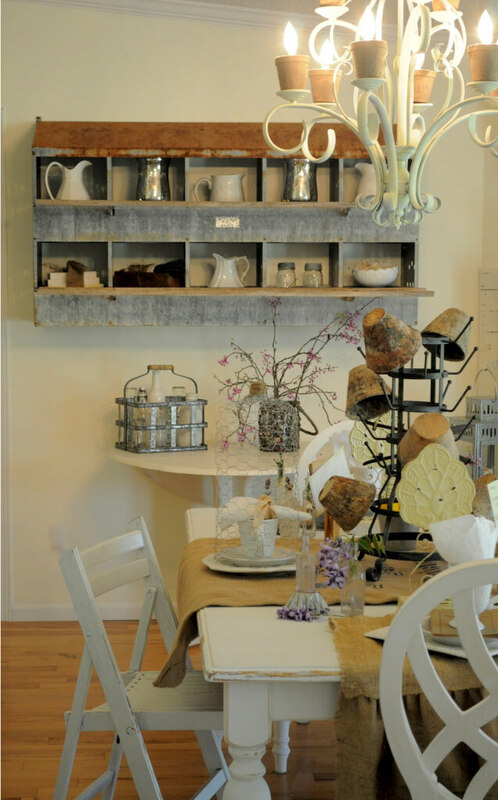 They bring the look of the old schoolhouse into your home while being practical places to write menus or shopping lists. 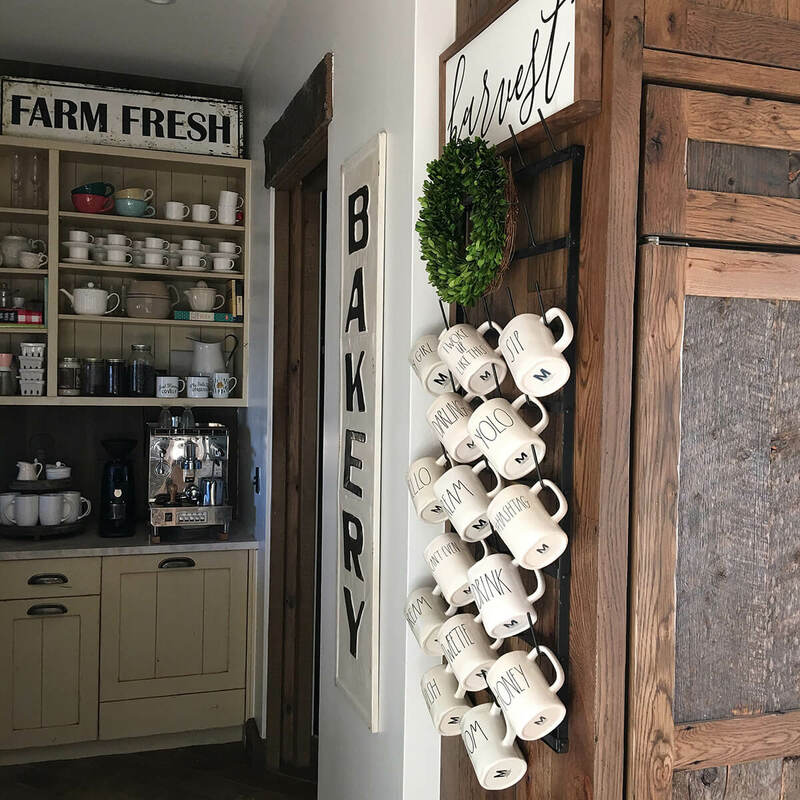 Try painting a panel on your pantry door with chalkboard paint. 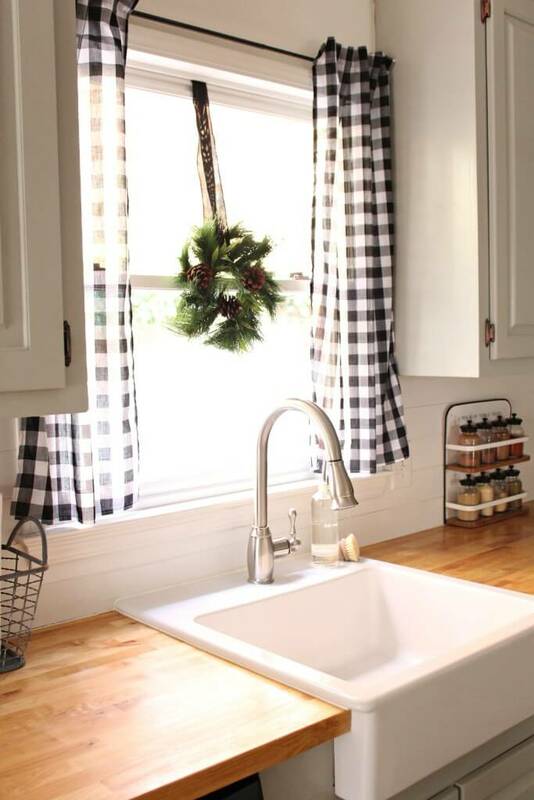 Try replacing some of the doors beneath your cabinets with freshly pressed white curtains. 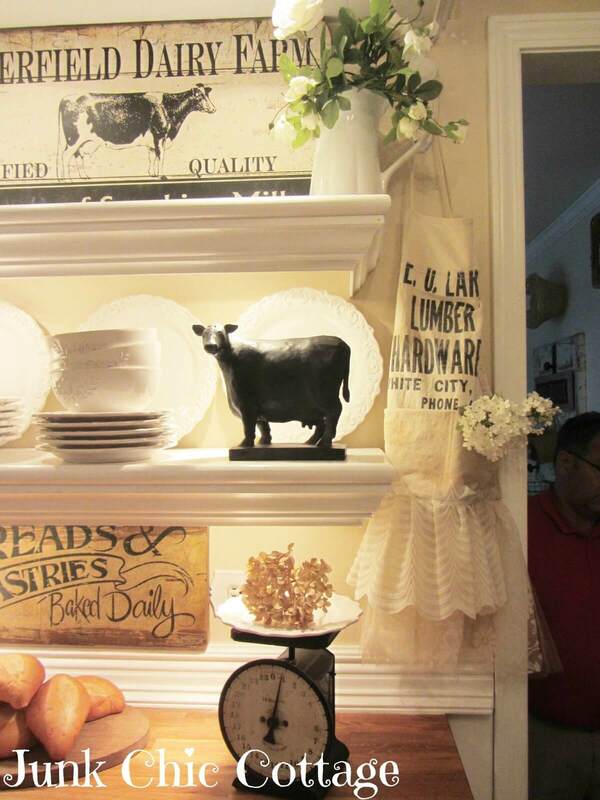 This look harkens back to an earlier time. 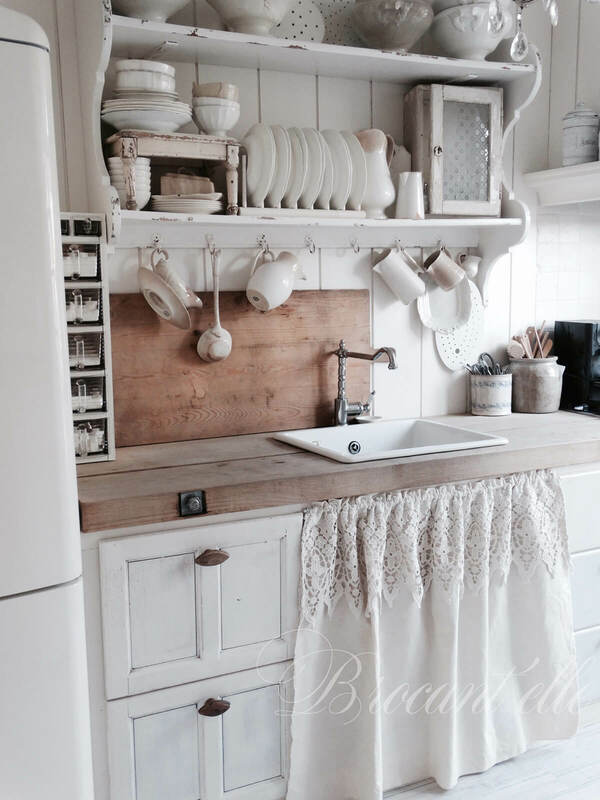 It looks especially nice underneath a farmhouse sink. 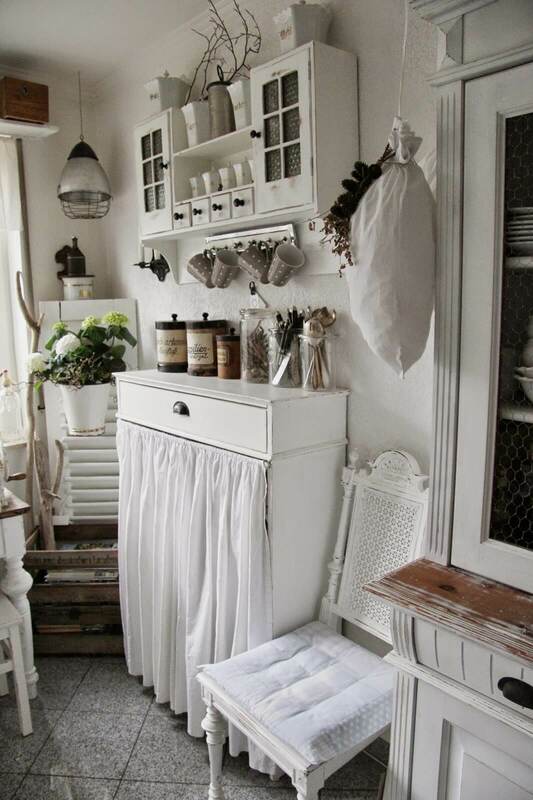 These curtains are often trimmed with cutwork lace or hand-knit cotton lace.